Drums & Percussions Working it Out DVD download. This video demonstrates how drums and percussion work together to create a groove. You see Dave and Walfredo work out parts for different feels and styles of music and then watch a band perform them. In addition, Dave and Walfredo solo and show off some pretty fiery playing. Many styles are covered, from reggae to various Latin rhythms. 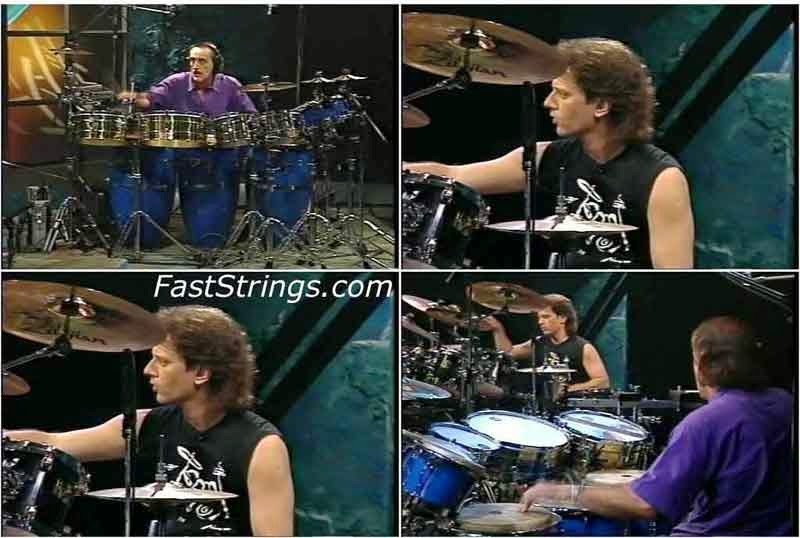 Includes some great solos from Dave and Walfredo’s unique drum set playing which integrates Latin percussion on the drumkit. Intermediate to advanced. AMAZING !! THANK YOU SO MUCH !! great great great job thanks……………………..